This Reflective Elastic Quick Lace Shoe Fastening System is not just your average shoe lace. These Quick Laces are exactly what the name says, Quick. The bungee cord and its parts allow for easy use and give your shoe a sleek and simple design with great functionality. With safety being one of the most important factors while out and about, the reflective tracer is a great addition for those who use their shoes early morning or late at night. The absorbent shock allows for comfortable & secure use and the 100% Reflective Nylon Jacket isn't just for looks, it also resists abrasion, rotting, mildew, and UV Sunlight. When you order our Quick Laces, you will receive two 48" reflective shock cords in the color of your choosing, two cord lock stoppers, two end cord locks, and an instruction pamphlet. Be reflective, and get this great product today! 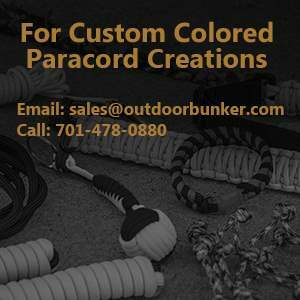 Available Reflective Colors: Black, White, Royal Blue, Olive Drab, Neon Orange, Neon Green, Midnight Blue, Electric Blue, Orange w/ White, Charcoal Gray, Orange w/ Silver gray, Kelly Green & Coyote Brown.